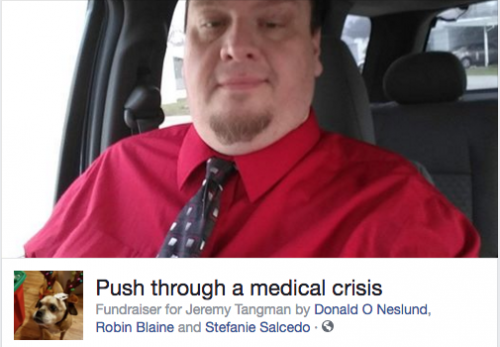 Gamer, writer, and publisher, Jeremy Tangman, is experiencing some medical challenges and working to cover the additional expenses. To make up the difference, Jeremy has setup a donation page on Facebook (here). To help him out, several tabletop RPG companies have come together to offer a few small perks to motivate fans and publishers to assist Jeremy in his time of need. “33 years ago I started gaming. I like RPGs, board games, card games and video games. My favorite game to play is Call of Cthulhu. I have always had a vast interest in fantasy and science fiction. Reading many authors such as Tolkien and Robert Jordan helped me find a gateway into this hobby. Then I stumbled upon a game called Dungeons and Dragons by a company called TSR, then I was hooked, that segued into a variety of RPG and board games. The thing I like the most is the camaraderie amongst fellow players, and the excitement of gameplay, of completing a task. So whether it’s Monopoly or Magic: The Gathering or Vampire: The Masquerade, I just love to have a fun time gaming. 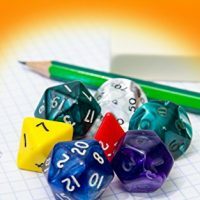 To help Jeremy out, Modiphius Entertainment, Lee Garvin, Jason Brick, Dark Naga Adventures (an imprint of Fat Goblin Games), Higher Grounds Publishing, Thunderegg Productions, Reign Dragon Press, Ley Lines Publishing, and myself are offering some options to fans and gaming publishers to incentive them to support Jeremy in his time of need. Today, 20 years after the last battle of the 100 year war, the Great War, Avenadia is a very different place. Much of the land has been swallowed by contaminated water. The water that surrounds the Avenadian mainland is a treacherous thing. The contamination in the seas has made the few beasts that are able to survive quite ferocious. Some say even the sea itself is alive and angry. Interested in more details about Avenadia? Check out Dan Davenport’s 2019-01-10 #RandomWorlds Q&A with Jeremy Tangman here. From Dark Naga Adventures (Kevin Watson). Read my interview with Kevin here. Featuring clever tricks and traps, and exciting new magic, all wrapped up in an elven mystery of the ages. The Buried Zikurat is sure to bring hours of enjoyment to your gaming table! What waits in the Formene? Both the city of Talos and the Formene wilds offer incredible opportunities for adventure and wealth. The Exodus System – The Exodus System takes classic OSR games and adds modern innovations. 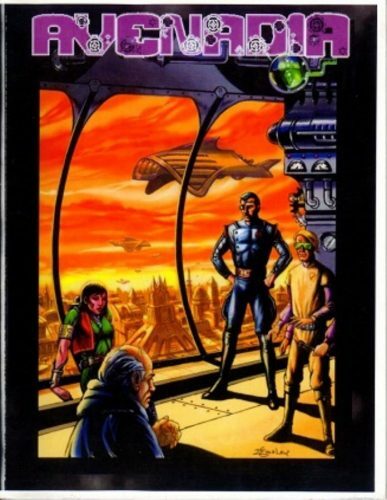 This book is suitable for playing sci-fi, fantasy, and all sorts of other genres. It takes inspiration from such other systems as Savage Worlds and the Cypher System. Kaigaku Premium Edition – Kaigaku brings dramatic samurai action back to your tabletop! It’s based on the innovative Black Hack rules set originally created by David Black. This game is easy to learn and you can get a party of characters created and a game started in just minutes. This samurai RPG allows you to become a mighty bushi, a devious courtier, a stealthy ninja or a powerful ascetic martial artist and defend the realm of Kaigaku from threats of monsters, foreign invasion and internal strife. This book presents you with a fully fleshed-out game setting that’s detailed enough to jumpstart your imagination but light enough so you can make the stories that you want to tell. Customize your characters with their own skills and samurai school abilities to help them stand apart from the rest and to have the power they need to defeat their enemies. The Ruined Kingdom – When an enormous kaiju pursues a foreign army into Kaigaku, the Empire heeds the call for aid from their oldest allies. This campaign takes the PCs far from home to exotic vistas. Can you save the world from an onslaught of mutated beasts? This sandbox campaign features dozens of new creatures, 2 new classes, 9 new ryu and much more. Combine the dungeon generator in this book with the NPC generator in the Premium Edition of Kaigaku to keep the adventure going forever. SM Hillman is a freelancer who does RPG journalist at EN World. When you donate to Jeremy’s fundraiser and submit a game (PDF or print, your choice), SM Hillman will review the game, and shop it around to several review sites of his choosing. NOTE: Due to scheduling, SM Hillman can only commit to two reviews. Higher Grounds Publishing (Ray Machuga): Ray is the game designer and publisher of the Modern RPG, Warsong 2e (Read my review here), and the Slasher the RPG, among others. If you donate to Jeremy’s fundraiser and submit a game (PDF or print, your choice), Ray will review the game. This review will be published on the Tessera Guild. NOTE: Due to scheduling, Ray can only commit to one review. Tessera Guild (Egg Embry): Egg freelances for EN World, the Open Gaming Network, Knights of the Dinner Table, and the Tessera Guild. Much like Ray, if you donate to Jeremy’s fundraiser and submit a game (PDF or print, your choice), Egg will happily do a review of the game. Most likely he’ll publish the review on the Tessera Guild, but first he’ll shop it around to EN World, the Open Gaming Network, and/or Knights of the Dinner Table to give you maximum exposure. NOTE: Due to scheduling, Egg can only commit to three reviews. 2019-01-30 UPDATE: All of Egg’s reviews are booked. At this point, there are still options for Ray Machuga and Sean Hillman to do reviews. Achtung! Cthulhu – FATE Guide to the Secret War – Discover the secret history of World War Two: stories of amazing heroism, in which stalwart men and women struggled to overthrow a nightmare alliance of science and the occult; of frightening inhuman conspiracies from the depths of time; of the unbelievable war machines which were the product of Nazi scientific genius – and how close we all came to a slithering end! The Secret War has begun!This edition presents new rules for Fate Core suited to playing in a Cthulhu Mythos setting and in a World War Two setting, including sanity and Mythos magic rules, ways to construct and use Mythos creatures, handling conflicts in a warzone, broadening intellectual skills and using all of them in investigation, and more! Achtung! Cthulhu merges these great flavours together, but the Game Creation chapter in the Keeper’s Guide tells you how to tweak those individual dials for your Fate campaign. NOTE: Modiphius Entertainment is providing one PDF copy of this product. It is available on a first come, first serve basis. Tales from the Floating Vagabond – So much adventure, it’s just stupid! 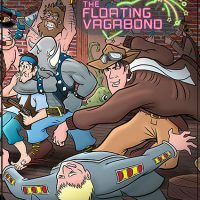 Tales From The Floating Vagabond is the classic comedy role-playing game that answers the question: What do adventurers do when they’re not adventuring? Random Encounters: Volume 1: 20 Epic Ideas to Try in Your Role-playing Game – The best part of any gaming book is the little ideas. Great NPCs. Intriguing locations. Small, elegant rules. Campaign or adventure ideas. It doesn’t matter which game or genre it’s originally for, we can throw those ideas into any game we want. 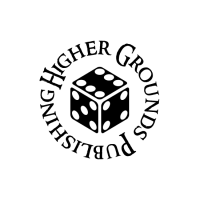 Random Encounters is a series of gaming books consisting of just the ideas. 20 short essays about cool stuff to try in your games. Character stuff. Monster stuff. Campaign arcs. Adventure ideas. Encounters. Play at table. House rules. All kinds of little ideas for you to read, take, use and alter to make your game all it can be. To support Jeremy Tangman, please visit his Facebook donation page here. There are a limited number of game reviews available and they will be passed out on a first come, first serve basis. After you donate, email Jeremy at jeremy.tangman@hotmail.com, or message Jeremy on Facebook, and Jeremy will work with you to get you these rewards. About Modiphius Entertainment – The home of tabletop storytelling. A UK- based tabletop games publisher, Modiphius Entertainment launched in 2013 with the World War Two horror themed Achtung! Cthulhu universe and went on to create licensed tabletop roleplaying, miniatures, and boardgames for Mutant Chronicles, Thunderbirds, Conan, John Carter of Mars, Infinity, Star Trek Adventures and Fallout: Wasteland Warfare. 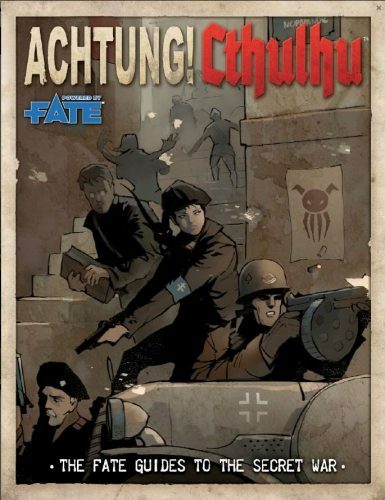 Modiphius is providing one copy of Achtung! Cthulhu – FATE Guide to the Secret War to help Jeremy out. About Dark Naga Adventures (an imprint of Fat Goblin Games available at the Open Gaming Store) and Kevin Watson. Publisher of the five-part Haunting of Hastur series for Dungeons & Dragons 5e, Pathfinder 1e, and OSR (“An RPG series of adventures that finds the party members interfering with Hastur and his attempts to establish a presence in their world”). “Higher Grounds produces tabletop RPGs and RPG supplements. Our ultimate goal is to bring new flavors of games to the tables of gamers, everywhere. I want to take tabletop RPGs to the next level! 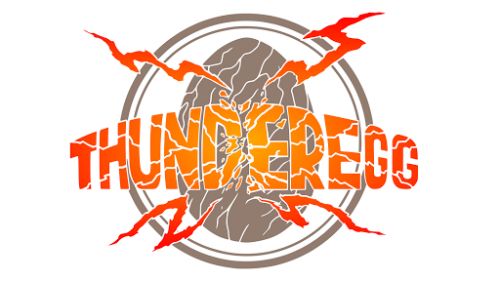 About Thunderegg Productions and Jacob DC Ross. Publisher of The Exodus System (“Suitable for playing sci-fi, fantasy, and all sorts of other genres, this system takes classic OSR games and adds modern innovations.”), Kaigaku Premium Edition (“Based on the innovative Black Hack rules set originally created by David Black, this game brings dramatic samurai action back to your tabletop!”), and The Ruined Kingdom (“This sandbox campaign features dozens of new creatures, 2 new classes, 9 new ryu and much more.”). About Reign Dragon Press and SM Hillman. SM Hillman is a writer, gamer, lover, and slayer who enjoys writing adventures, designing games, and taking on way too much work. You can check out his company, Reign Dragon Press (https://reigndragonpress.weebly.com/), and his new podcast, Zer0 Means You’re Dead, at https://zer0meansyourdead.podbean.com/. About Lee Garvin. Lee Garvin is a 29-year veteran of the RPG trade, having written Tales From The Floating Vagabond when he was barely 21 years old. Since that time, he has written and designed for Indiana Jones, Star Wars, Deadlands, and 7th Sea as well as creating Control: The Game of Absolute Corruption, and Dravakor, the heavy metal fantasy setting for Pathfinder. He has also designed the card game Badass Zombie Killers, and is currently working feverishly on the second edition on Tales From The Floating Vagabond. About Jason Brick. Jason has gamed since 1980 and written professionally since 2007. He lives in Oregon with his wife, son, cats, spinster aunt, and squire.